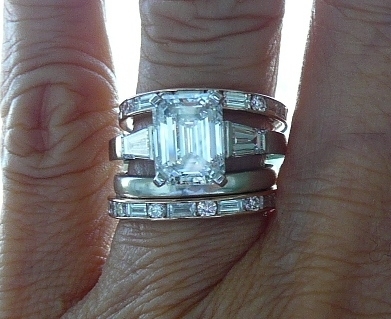 Megeve shared with us her classically beautiful ring on the Show Me The Bling Community at PriceScope.com. There is a reason that the this classic look withstands the test of time when it comes to taste and beauty, it’s simply stunning. This is the very picture of elegance! Megeve has an impressive collection and we are delighted to have the opportunity to watch it continue to expand! I am also a huge fan of Van Cleef & Arpels! Thank you for sharing this magnificent piece Megeve, I hope you keep sharing additional pieces with us!! Want to see the entire post with more pics? Follow this link! 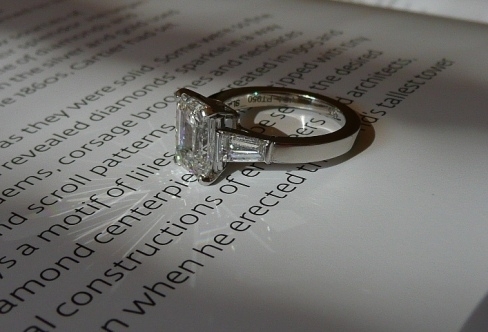 Diamond cut is a matter of taste learn more about emerald cut diamonds here.